Yeah, yeah… I know. I’ve been slacking on my blog for the past few months (in-fact I think this post has been sitting in my drafts folder for about 2 months). Still, the wheels of life must go on, and the last post (although tongue firmly in cheek), was a bit depressing. So, with as little fan-fare as possible, I thought I’d give you my picks for the up-coming conpocalypse (AKA #HackerSummerCamp, AKA “That thing in Vegas”). This years BSidesLV is looking great… and I’m not just saying that because some of my favourite people in the world are running and helping shape it (you know who you are ;). Alongside all the hallway track stuff that’s much talked about, and working a couple of morning shifts as a room host (still not sure what this means… guess a mix of stand-up comedy routine and crowd control!) I’ve got a couple of talks on my radar to attend! Wednesday 17:00 – 18:00 We Hacked the Gibson! Now what? I was really hoping to attend @HackerHuntress‘ Hacking the Hustle Hands-On, Infosec Resume and Career Strategies workshop… however I’m volunteering at that time. So hopefully she’ll still be around to chat to for the remainder of the conference! If you’re around at BSidesLV, make sure to pop into the “i am the cavalry” area to see what those crazy kids are up to! Don’t forget to check out the DEF CON SkyTalks (https://skytalks.info/) as well… these talks aren’t recorded usually, so it’s be there, or be ²! 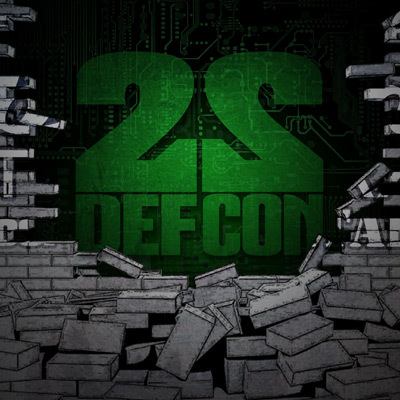 Friday 14:00 – 16:00 DefCon Comedy Jam Part VII, Is This The One With The Whales? Saturday 10:00 – 11:00 Screw Becoming A Pentester – When I Grow Up I Want To Be A Bug Bounty Hunter! … that’s a lot, and I don’t expect to hit them all! Hallways con and other events will keep me from that. Still, those are my picks for the Summercon marathon!